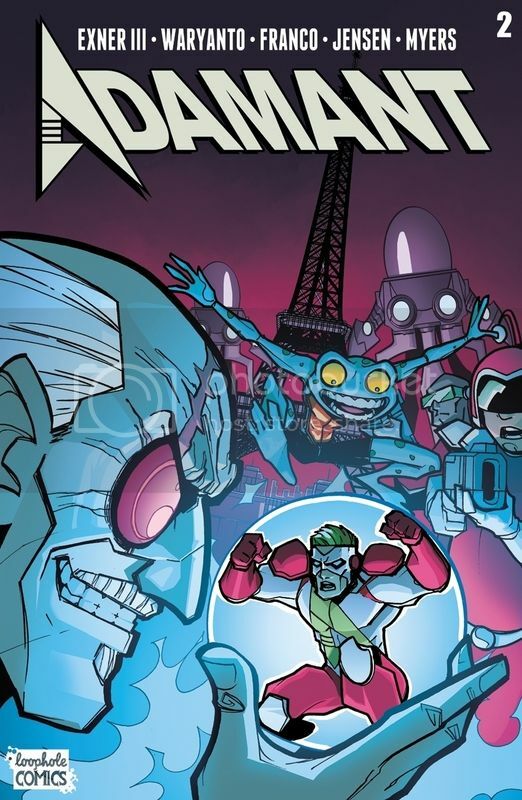 AdamanTuesday has arrived, and we bring with it the penultimate installment of the first issue of Adamant! Who is the mysterious figure in the last panel? How does Adamant know him (or her... I guess)? What does it all mean?!?!? We'll find out together next week! And remember, Adamant needs your support on patreon! And you can also read Adamant on tapastic and webtoons! FREE comics on my PATREON! 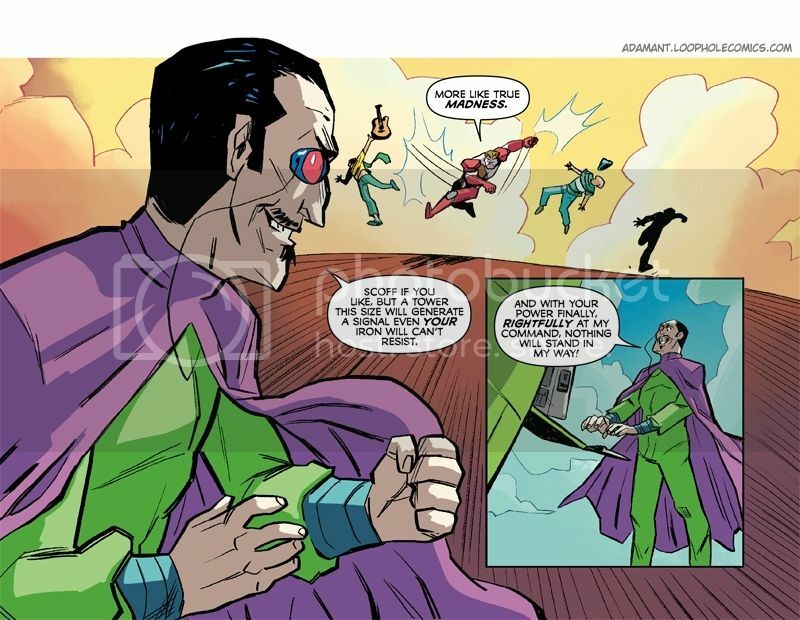 Issue #1 of Adamant comes to an end at Digital Webbing! Happy AdamanTuesday, everybody! 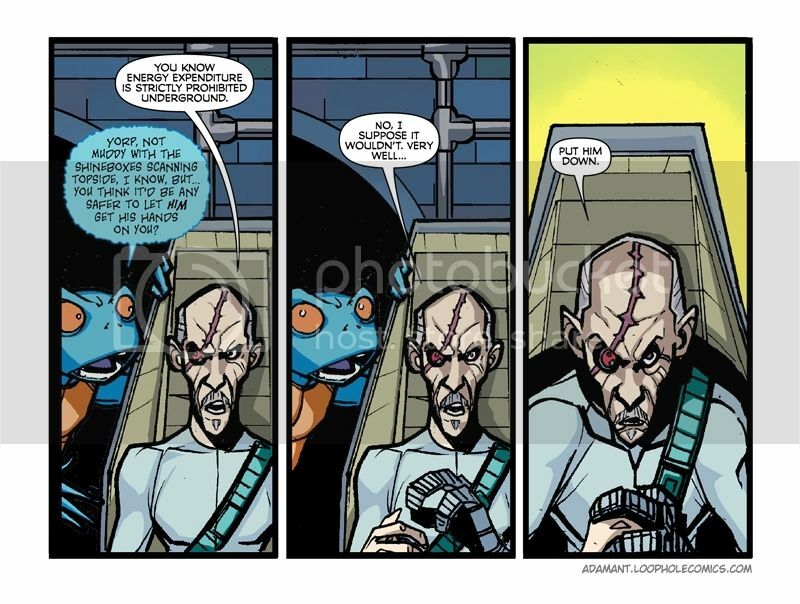 Hope you've been reading/enjoying Adamant. The AdamanTeam is going on a nit of a hiatus while we prepare to get Issue #2 ready for public consumption. 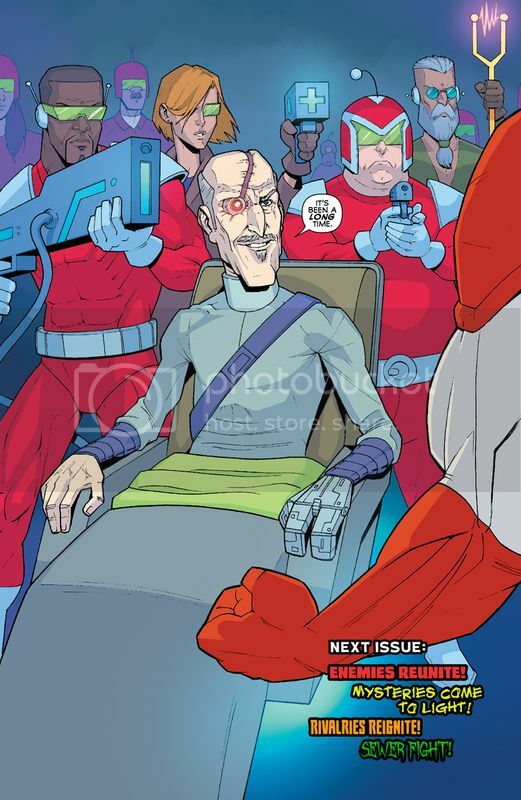 But we shall return with more Adamant, (old, future) Dr. Alpha, Pogo and the rest of the gang! 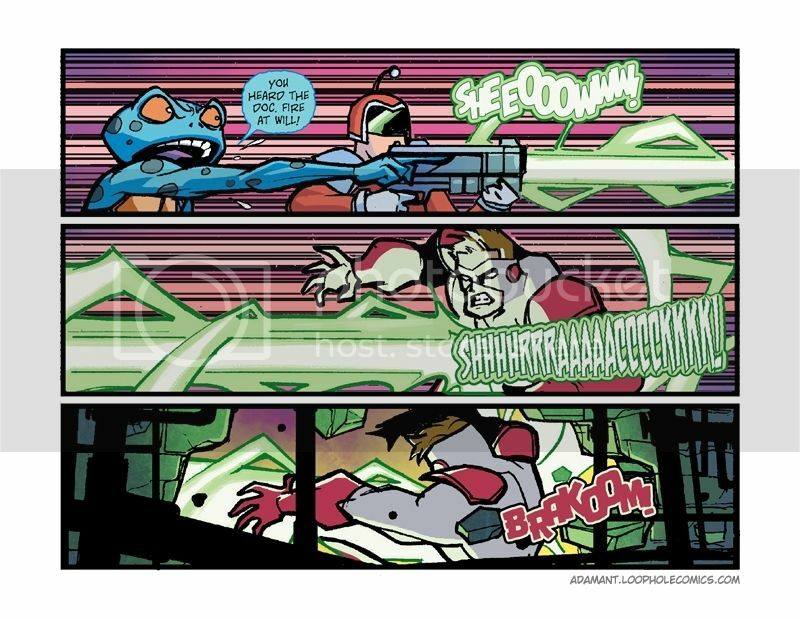 Anybody out there that might be interested in a print copy of Adamant? Thinking about doing a kickstarter, but fear of rejection gives us pause. As always, the Adamant PATREON is ready whenever you are! And if you read webcomics on tapastic or webtoons, we're over there too! Can it BE! Has Adamant RETURNED?!?!? YES! It's been a while (too long! 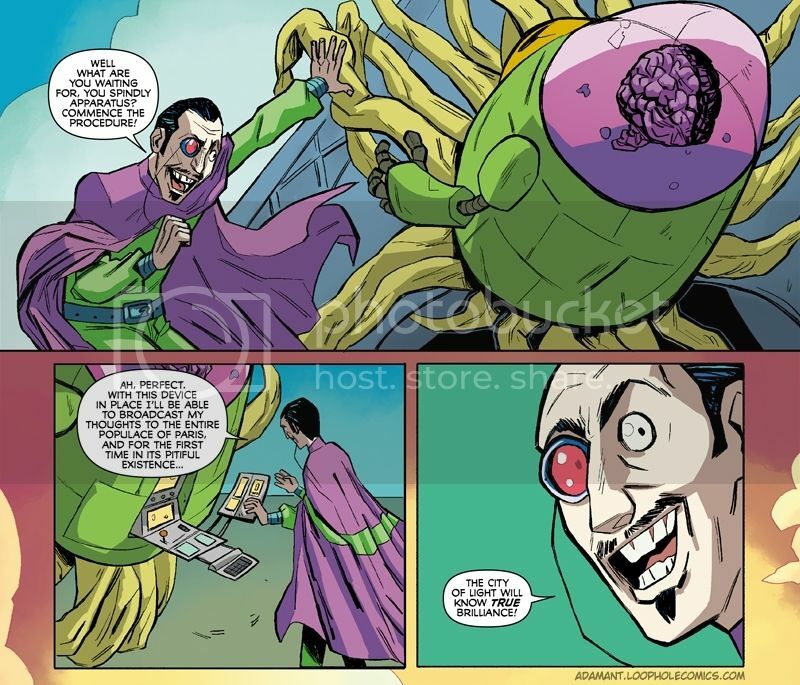 ), but Adamant is back to updating on a weekly basis with our second issue! 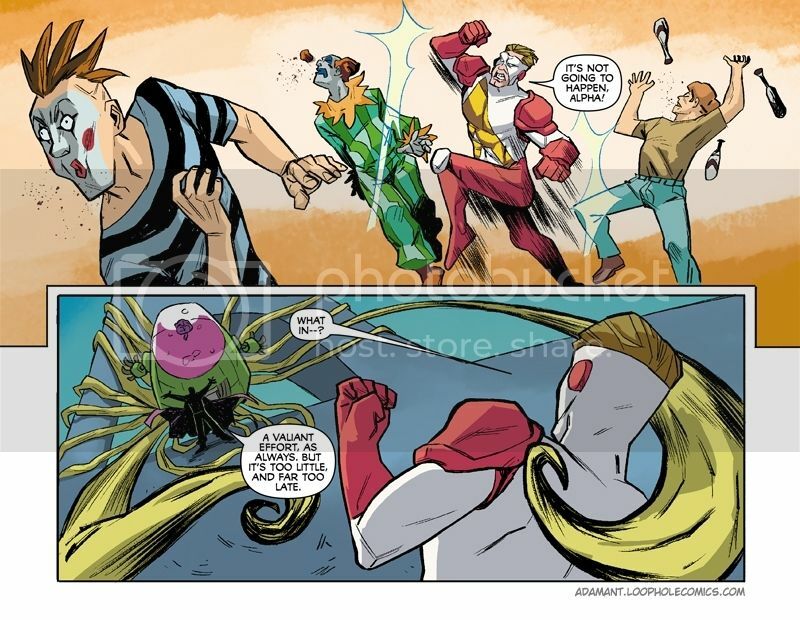 What that means for most of the internet is that every Monday they can read the latest installment of Adamant right HERE! And for Digital Webbing, that means the return of AdamanTuesday! And this time we have a special treat. Not only are you getting Page 1 of Issue #2, you're also getting the cover! That's two updates for the price of one! And what's that price again? Oh yeah, that's right... it's free! If you enjoy Adamant, please consider sharing it, tweeting it, facebooking it, or whatever social sharing you can think of to help spread the word! You might also consider supporting the Adamant PATREON! Adamant is also available to read on tapastic and webtoons, for you you fancy webcomic-reading folks. Happy AdamanTuesday, Digital Webbing! 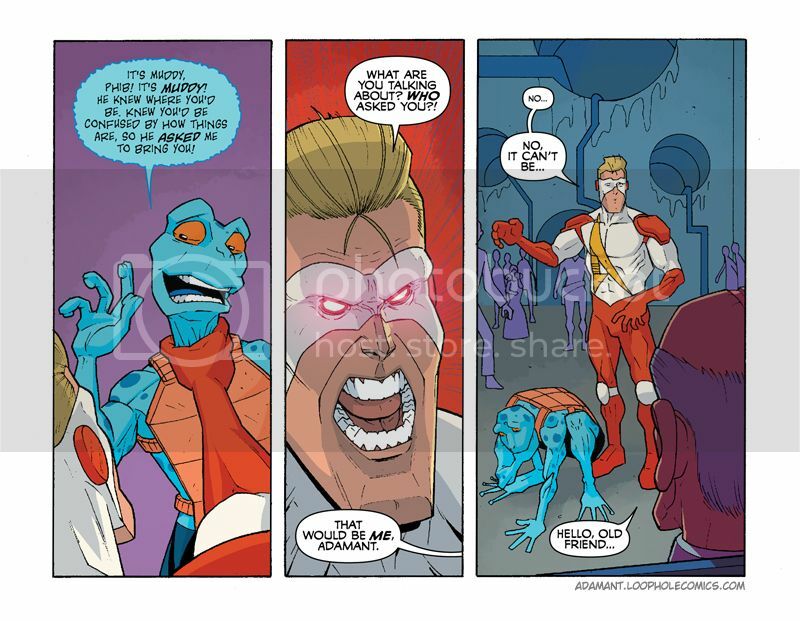 Page 2 of Adamant is here, and all we can say is that we hope Dr. Alpha provides his lackeys with a premium health benefits package. D'oh! An epic fail on our part at Adamant HQ. We missed a Digital Webbing AdamanTuesday update last week! Our sincerest apologies, good readers. But wait! There's a port in this storm. For while we did miss an update last week, what that means is that THIS week you're getting two updates for the price (yes, we know it's free... but still!) of one! Feast your eyes! And remember, Adamant has a PATREON! If you like what we do and want us to keep doing it please consider becoming our patron. We may be a day late, but we're certainly NOT a dollar short. Why? because this stuff is FREE, people! 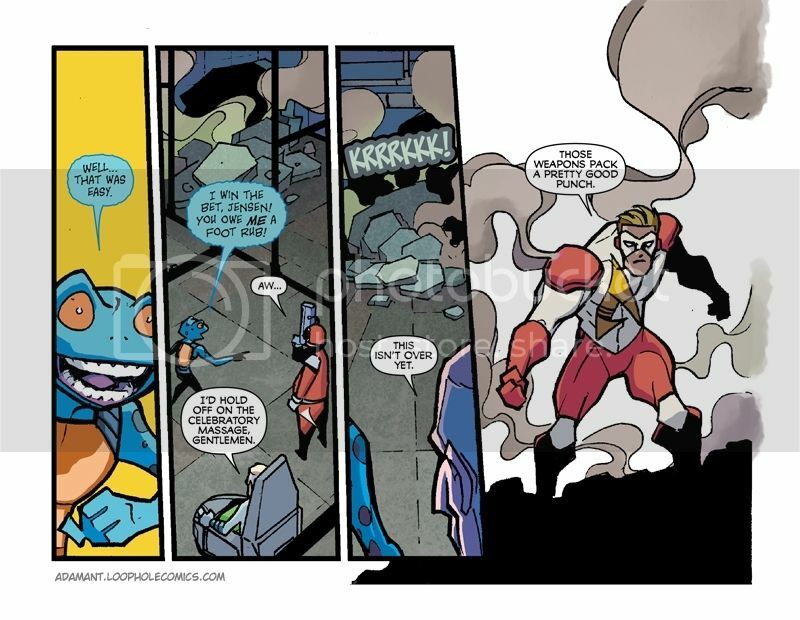 Another Adamant update for you fine folks at Digital Webbing! And remember, we also have a PATREON page if you feel like supporting us in bringing quality superhero comics to the world. Until next time! Thanks, mal! Dann did a tremendous job with it. All I said was to make it look like a robot spider or octopus or squid or something with a bunch of legs, and he took it from there. These guys make me look good! Dr. Alpha isn't only an expert at pressing buttons on his spindly apparatuses (apparati? ), he's also an expert at pressing Adamant's! Please remember, we've got a PATREON page if you're inclined to support us in our webcomic-making endeavors! We appreciate any support you can give! No, you're awesome! Thanks, good sir! AdamanTuesday on Digital Webbing returns! And this time we've got an extra special treat. 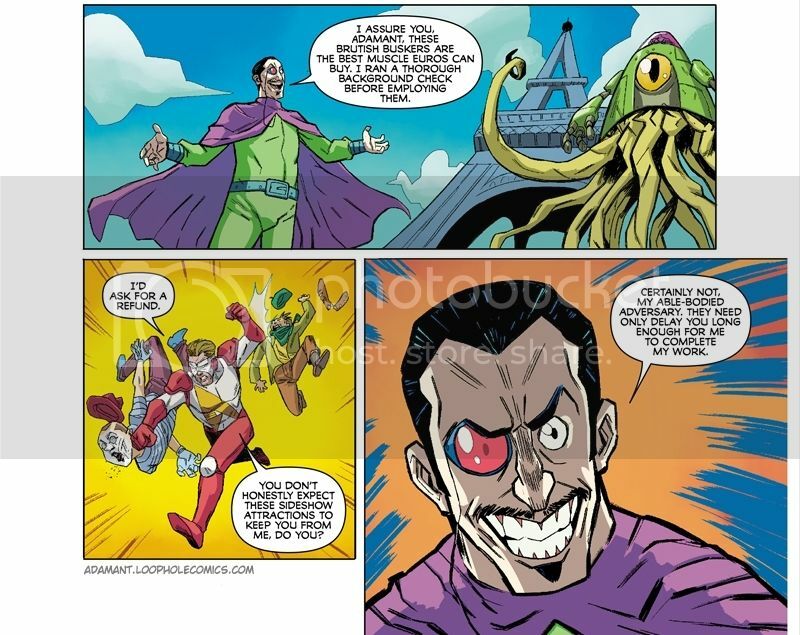 Artist Ian Waryanto, who revised the initial pages of our first issue, has also joined the AdamanTeam as the regular artist on all the scenes of Adamant that take place in the future! We're please as heck to have him, and hope you all feel the same. We've got lots more in store, so keep reading! And as always, if you're interested in supporting the AdamanTeam, please consider doing so through our PATREON! When Pogo whispers sweet nothings in your ear, it's always best to listen. And this week Pogo tells me I almost forgot to post the latest AdamanTuesday update to Digital Webbing! Shame on me! 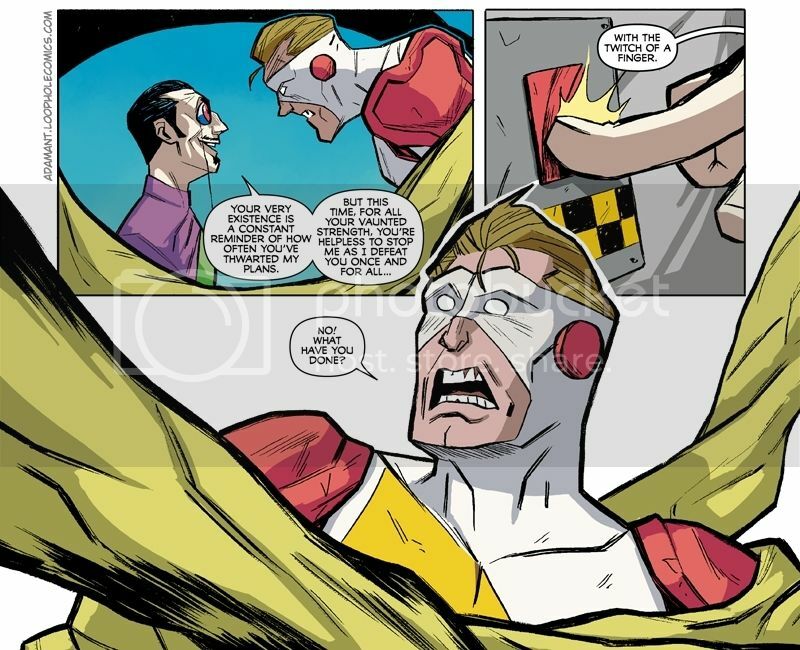 Pogo and Dr. Alpha are having a hard time dealing with Adamant, but we hope the read is going a lot smoother for all of you! As always, you can also find us on Tapastic and WebToons, and support us through the Adamant Patreon if you so desire. Happy AdamanTuesday, Digital Webbing! Hopefully everybody is enjoying how much fun we're having putting Adamant through the wringer. As always, you can find (and support) us on PATREON if you so desire. Digital Webbing! Happy AdamanTuesday, and my deepest apologies for not posting an update last Tuesday. I have excuses, but I doubt any of us have time to read them. I'm sure what you'd rather do is read some Adamant! And hey, the nice thing about missing an update is you get TWO updates the next time!